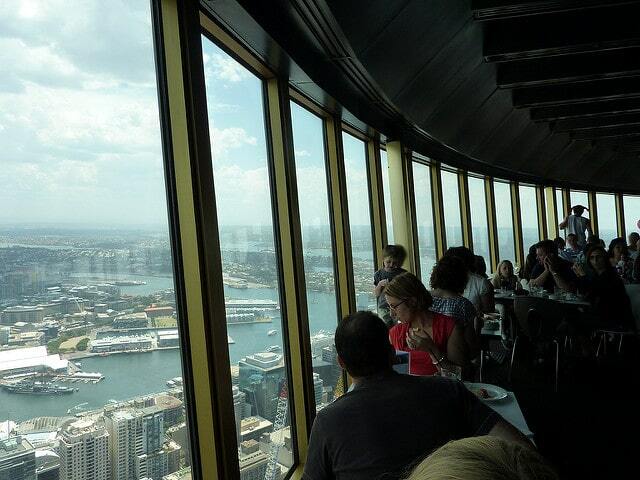 As a popular tourist destination, Australia receives a high volume of international traffic, meaning that popular destinations like Sydney, Melbourne, Canberra, Perth, Adelaide, Gold Coast and Brisbane are always looking for restaurant workers to meet the high demand to provide services to tourists. There are plenty of restaurant jobs for foreigners available, especially during summer season. Restaurant presence in those major cities is at a very high level. If you are interested to start your career in a restaurant, you should know that there are very few barriers to entry into this field. 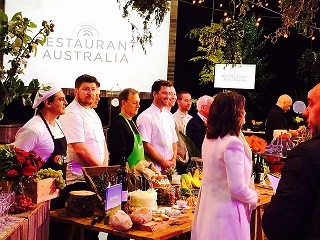 You won’t need formal education or work experience to get a restaurant job in Australia. The only important skill for foreigners, who want to apply for a restaurant job and work in this field, is to be fluent in English, because English is an official language in Australia. Australia offers great job opportunities in restaurants for foreign citizens, especially for young people just beginning their careers or looking for a summer job, because restaurants in Australia are in constant demand for qualified workers to fill entry-level positions as well as mid-level positions. There are also many international student programs which include part-time job opportunities in Austalian restaurants for foreign students. Cooks and cook assistants, waiters and delivery drivers are the most in-demand restaurant jobs in Australia. Restaurants allow consumers to avoid spending time on food preparation and to combine dining with leisure. Also, Australia draws large numbers of tourists abroad, so the restaurant scene arises with busy lifestyles and tourism development of this island country. 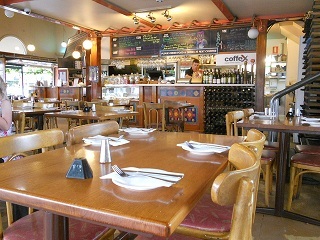 The restaurant scene in Australia includes dozens of thousand restaurants, mostly around the coasts. There are many different types of restaurants in Australia: casual and premium dining restaurants, fast food restaurants, fast casual restaurants, ethnic restaurants, beach restaurants, brasseries, sushi and sashimi restaurants, airport restaurants, drive-through restaurants, cafés, coffeehouses, bistros, hot dog stands, sandwich bars, grill bars, truck stop restaurants, etc. Australia is well known as a country with a great job opportunities for foreigners. If you are willing to move to Australia and get a job, work hard and earn a salary that will cover all your living expenses, it will be much easier to achieve the desired goal than in any other well developed countries. Jobs in restaurants usually are separated between front-of-the-house and back-of-the-house positions. There are also administration jobs and management jobs in large restaurants and restaurant chains. Getting a management job in a restaurant in Australia usually means starting at the bottom and climbing the ladder or being hired with a huge restaurant work experience. - Sommelier in Australia – „wine job“ in a restaurant; in charge of everything about wines. Restaurant jobs in Australia are rewarding. Restaurants in Australia tend to pay restaurant employees higher monthly salaries and wages than average, which creates a system in which bartenders, waiters or servers relies less on tips. This system creates consistent salaries for front-of-the-house employees in restaurants and provides better service for restaurant guests. Some restaurant jobs like waiter / waitress, food runner, host or bartender is considered as the best paid jobs for employees with no previous work experience in restaurants in Australia and a great job opportunity for young job seekers looking for their first paid job or just a summer job. Restaurant employees work an average of 40 hours per week, which is considered a typical work week and enough to provide substantial income in Australia. Wages and salaries for restaurant jobs vary by position, but as a restaurant employee in Australia you will earn a monthly salary enough to meet everyday living expenses. One meal per shift for workers is common for majority of restaurants in Australia and some restaurant jobs (especially in hotel restaurants) may include living accommodations for foreign workers, but not always. Job seekers in Australia often use local classifieds, local newspapers and services of Australian hospitality recruitment agencies for hotels, restaurants, clubs, resorts, restaurant groups and cafes. It is a bit harder to search for job openings if you are not in Austalia. In this case, you can use job search engines and job portals for restaurant jobs in Australia, as well as restaurant websites, where job openings are also published. Don’t forget that if you are in Australia, walking into restaurants and directly asking to speak to the restaurant manager about information concerning job openings, may be the most effective and the fastest way to get a job.